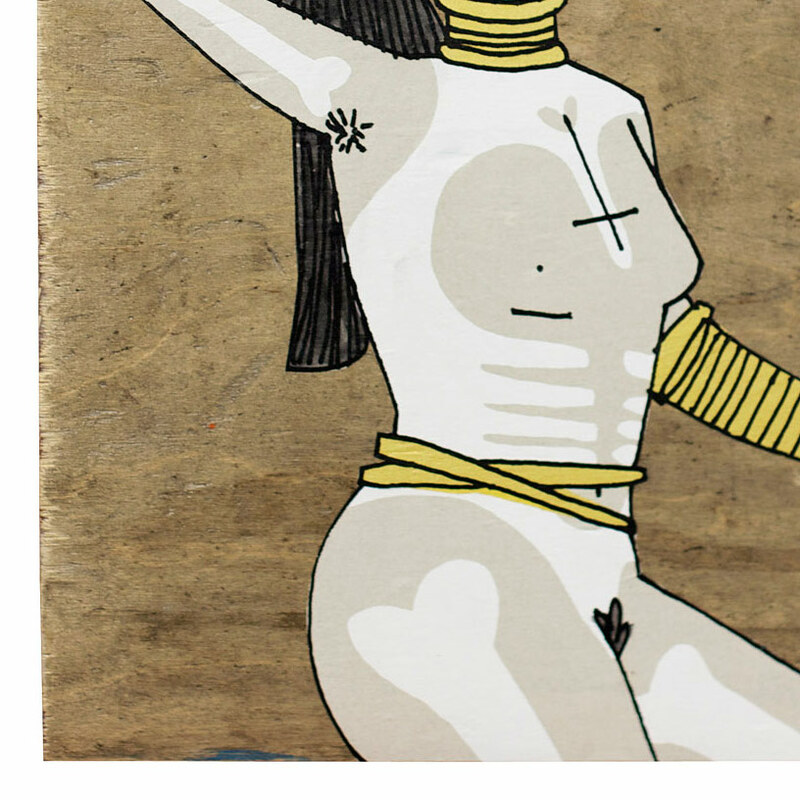 This RUN comes signed by Kid Acne and includes an Original Artwork Letter of Provenance from 1xRUN. This artwork comes ready to hang in bespoke black, open box frame. 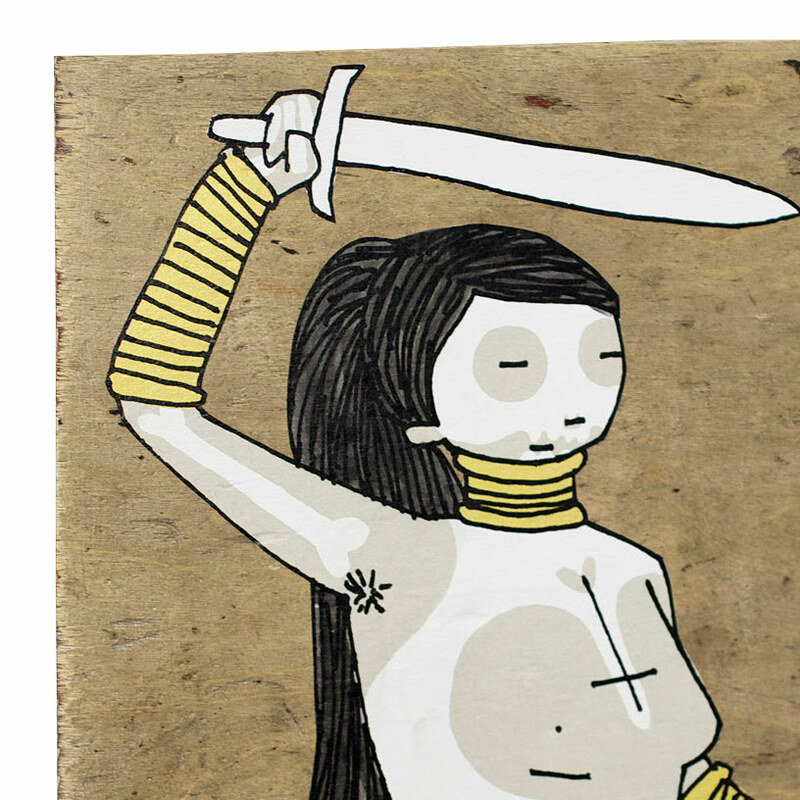 Since I started making the Stabby Women wheat-pastes back in 2008, I’ve always made originals on wooden tiles as a souvenir of the street work. The wheat-pastes by their nature are ephemeral, so it’s nice to have some longer lasting examples for posterity. These 2 are made on reclaimed wood, which I salvaged from a local skate park. Each one has a different skin tone, but they are made using an identical process to the ones you see in the street.